Arsenal face a must-win game against Watford tonight at Vicarage Park. They’re down to sixth in the table but that disguises the fact that Chelsea have played two more games – a win for the Gunners tonight will catapult them back into fourth place, on goal difference over Sarri’s men and two points ahead of Man United. Arsenal have a shocking away record this season, though. On away form alone – five wins, four draws and six defeats – they would be 10th in the table and the Gunners haven’t kept a single clean sheet on their league travels all season. They’ve conceded 28 away from home in the league and that equates to almost two a game. That’s something long-term for Unai Emery to look at in the summer. Short-term he has to assume he’ll need goals tonight. Arsenal are fighting for Champions League football on two fronts this season – via the top-four or by winning the Europa League. 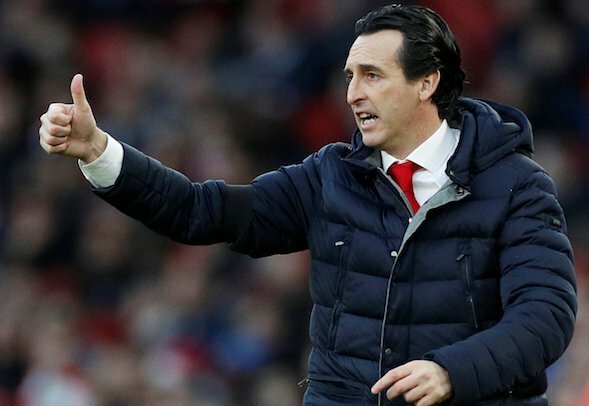 They play Napoli on Thursday, with a two-goal lead from the home leg, but Emery can’t afford to rest many players and the top-four is still the most likely route to Europe’s top table. 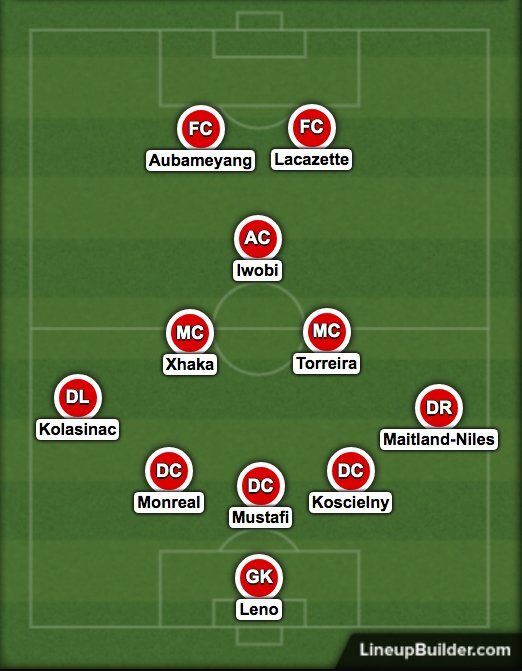 For that reason, we think both Alexandre Lacazette and Pierre-Emerick Aubameyang will start, with Alex Iwobi in behind. Aaron Ramsey and Mesut Ozil can drop to the bench, with Granit Xhaka hopefully fit to play tonight alongside Lucas Torreria. Bernd Leno should take over from Petr Cech in goal, with Sead Kolasinac and Ainsley Maitland-Niles on the flanks. Nacho Monreal, Shkodran Mustafi and Laurent Koscielny should start in the centre with Sokratis suspended.